Sharing with the Public folder in Windows 10 is quick and dirty. As long as the person trying to get into your Public folder is connected to your network and he can supply a valid username and password — one that will log in to your computer — he can get at the contents of Public. Homegroups work only with Windows 7, 8, and Windows 10 computers. That’s it. If you have a Vista or (shudder!) XP PC on your network, it can’t join the homegroup, so it has to access the shared data directly. Toss a Mac into the mix and, oy vez! If you try to connect a Windows XP or Vista PC to a Windows 7, 8, or 10 PC, you get a challenge like the one shown. The person using the Windows XP PC must provide a valid username and password for the machine she’s trying to access. 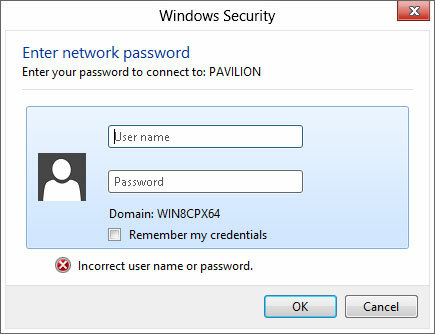 Windows XP PCs can’t get into your homegroup-protected PC, unless they can provide a username and password. If you’re using Windows 7, 8, or 10 and trying to get into a PC that isn’t in your homegroup, you see a challenge like the one shown here. 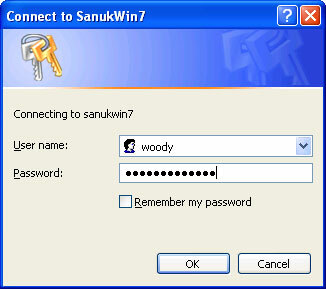 Again, the person using the PC must provide a username and password that’s valid on the PC he’s trying to access. Windows 7 and 8 PCs also get challenged if they aren’t part of the same homegroup. 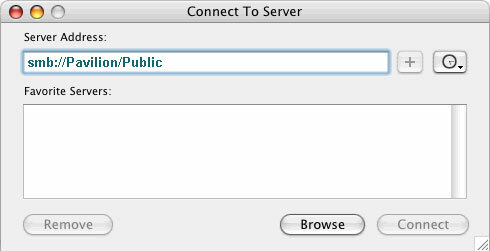 In the Mac OS X Finder, choose Go, Connect to Server. The Mac responds with the Connect to Server dialog box, shown here. Connecting from a Mac to a Windows PC is fairly straightforward. In the Server Address box, type smb:// followed by the name of the PC you’re trying to connect to, and then type /Public. Click Connect. When you see the challenge, enter a username and password that’s valid on the computer you’re trying to access. If you’re asked for a workgroup name, type workgroup. You end up in the Public folder. You can also enable Windows-style file sharing on your Mac, so you can pull files from the Mac into your PC. At least, theoretically.